One of the most significant and controversial developments in contemporary warfare is the use of unmanned aerial vehicles, commonly referred to as drones. In the last decade, US drone strikes have more than doubled and their deployment is transforming the way wars are fought across the globe. But how did drones claim such an important role in modern military planning? And how are they changing military strategy and the ethics of war and peace? What standards might effectively limit their use? Should there even be a limit? 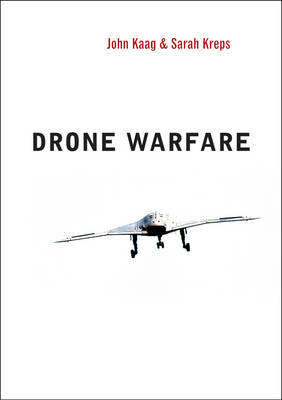 Drone warfare is the first book to engage fully with the political, legal, and ethical dimensions of UAVs. In it, political scientist Sarah Kreps and philosopher John Kaag discuss the extraordinary expansion of drone programs from the Cold War to the present day and their so-called `effectiveness' in conflict zones. Analysing the political implications of drone technology for foreign and domestic policy as well as public opinion, the authors go on to examine the strategic position of the United States - by far the world's most prolific employer of drones - to argue that US military supremacy could be used to enshrine a new set of international agreements and treaties aimed at controlling the use of UAVs in the future.